Ketogenic diets have long been used in the strength training world. 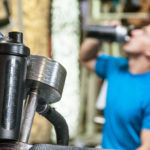 Bodybuilders, powerlifters, Olympic lifters, and wrestlers have all made use of ketogenic diets for years to drop weight for a competition without any detrimental effects on performance. The principle foundation of a ketogenic diet is to force the body into ketosis. Ketosis is a physiological state where the body burns fats instead of carbohydrates as an energy source. A recent review paper published in the Journal of Exercise in Sports Sciences Reviews titled, “The Ketogenic Diet and Sport: A Possible Marriage?” reports the benefits of a ketogenic diet in some sports, especially power sports requiring weight loss. The review paper talks about the biochemistry of ketogenic diets and how athletes often need to lose weight rapidly for a competition. One study examined nine elite male gymnasts from Italy were recruited and placed on a very low carbohydrate ketogenic diet. Tests included hanging leg raises, push ups, parallel bar dips, pull ups, squats jumps, countermovement jumps and 30 seconds of continuous jumping. The athletes in the study average training volume was 30 hours/week. The diet provided was 54.8% fat, 40.7% protein and 4.5% carbohydrate with all vitamins and minerals accounted for to ensure proper nutrition. The modified ketogenic diet was mostly made up of beef, veal, poultry, fish, raw and cooked green vegetables without restriction, cold cuts (dried beef, carpaccio, and cured ham), eggs, and cheese (such as parmesan). The drinks allowed were infusion tea, moka coffee, and herbal extracts. 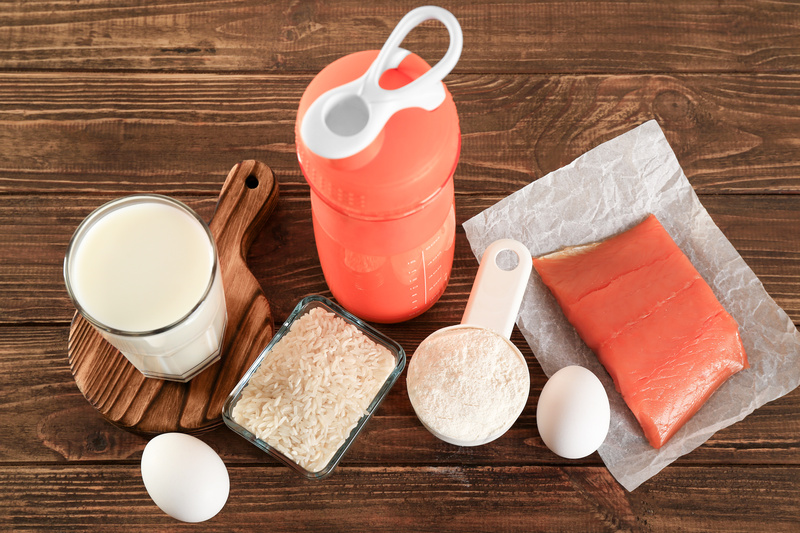 The foods and drinks that athletes avoided on the ketogenic diet included alcohol, bread, pasta, rice, milk, yogurt, soluble tea, and barley coffee. At the end of the study, the ketogenic diet showed a significant reduction in body weight, fat mass, and an increase in lean body mass percentage. This indicates that many athletes concerned either about aesthetics or weight categories can use a properly controlled ketogenic diet and after adaptation, perform at their normal levels of function while losing weight through macronutrient manipulation. The key point that the author made in the review paper is a ketogenic diet might be used to achieve fat loss without affecting strength/power performance negatively. In addition to strength, the ketogenic diet can also have several health benefits beyond changes in body composition. A very interesting report recently titled, “Ketogenic Diet and Cancer-a Perspective: Recent Results” suggests that using ketogenic diets can also reduce the risk of certain cancers. This research is very preliminary but the studies seem to suggest positive health benefits with keto diets for reducing the risk of cancer. It has been reported that refined carbohydrates, which are now consumed by the vast majority of the world’s population, significantly contribute to high sugar levels, high insulin levels, and chronic inflammation. One of the primary ways of counteracting high sugar levels and high insulin levels is dieting. Fasting and low carbohydrate diets have been reported to reduce blood plasma glucose and insulin levels as well as elevation of ketone body production, which—in consequence— leads to reduced inflammation. As a consequence of the high fat content, in addition to lowering blood glucose, insulin, and insulin-like growth factor levels, ketogenic diets results in significant increase of ketone body. Ketogenic diets have also been shown to have anti-inflammatory, anti-oxidative, and mitochondrial stimulating effects. One of the interesting finding on patients using ketogenic diets is the increase in ketone bodies. Research of recent years showed that ketone bodies, in particular, β-hydroxybutyrate, play significant regulatory roles in reducing inflammation. Ketone bodies have also been shown to display protective effects against oxidative stress, most likely through the decrease of reactive oxygen species production by mitochondria. To date, ketogenic diets were beneficial in rat models of colon, prostate, brain, skin, breast, lung. The researchers found that the ketogenic diet is able to result in decreased tumor weight and improved overall survival. Only one human study to date has been conducted on cancer patients with brain tumors. The reported trials show a substantial reduction in blood glucose and elevation of ketone bodies, ketogenic diets allow patients to maintain their body weight and appears to diminish physiological stress associated with chemotherapy treatment.More research needs to be conducted but it’s positive that the patients undergoing chemo did not lose weight and had improved health outcomes. Key Points: Ketogenic diets in addition to reducing bodyweight and maintaining muscle strength, may have future benefits for reducing cancer, although more research is needed. 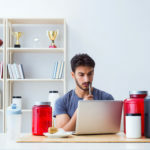 Previous articleIs a Small Social Network the Key to Fitness Success?